The billboard designed by Bruno Munari for Campari is closely related to the opening of the M1 subway line in Milan, in November 1964: it is in fact a poster that considers a mobile, and at the same time fragmented, vision because, as the artist himself affirms, it does not lose “its strenght even if it is partially glimpsed, even if groups of people partially cover it, or if you look at it from the moving subway cars”. But the strong idea behind the project is a potentially infinite editing, that could be extended indefinitely in a serial loop, just like a wallpaper, without any gap, in a continuous stream of images coordinated with a system of bills. 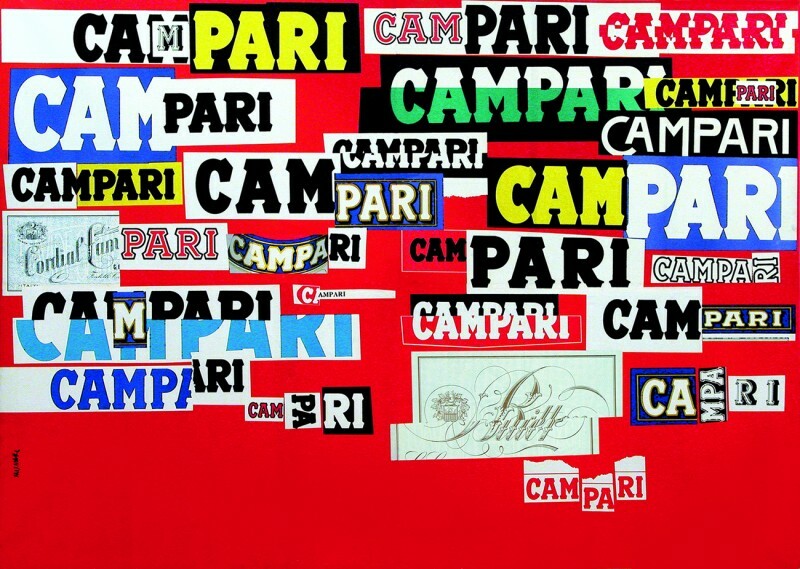 Upon the red background the graphic icons of the Campari written logos stand out, decomposing and recomposing themselves: Munari indicates here exactly the element of continuity of the brand, going through the long and prestigious history of the company with the comparison of the lettering (how can we forget posters by Hohenstein and Dudovich, Cappiello, Depero, Nizzoli, just to name a few?). At the same time, we see the results of Munari artistic research converge inside his graphic design (from the reflection on the visual processes to the contemporary experimentation with the xerography), but somehow they are projected into a new urban context. The poster for Campari then becomes a kaleidoscopic and curious gaze upon the contemporary city.